"IS IT POTTERY?" 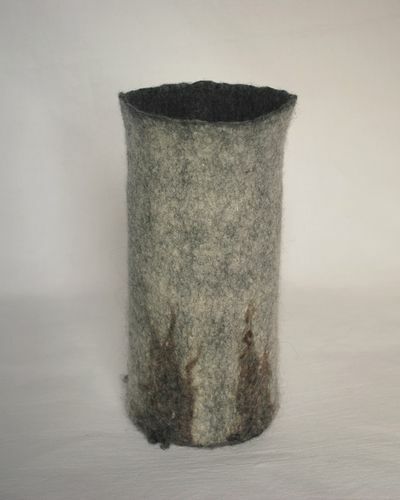 vase - Hand felted Merino wools with Pender Island Cotswold sheep locks design. There is a glass vase inside, so the piece can be used as a flower vase. Hand felted Merino and Corriedale wools. 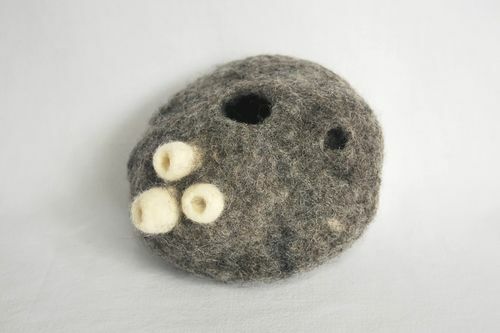 Each 3D piece was hand felted separately and then felted onto the wool base, before the entire piece was then rolled and fulled by hand. 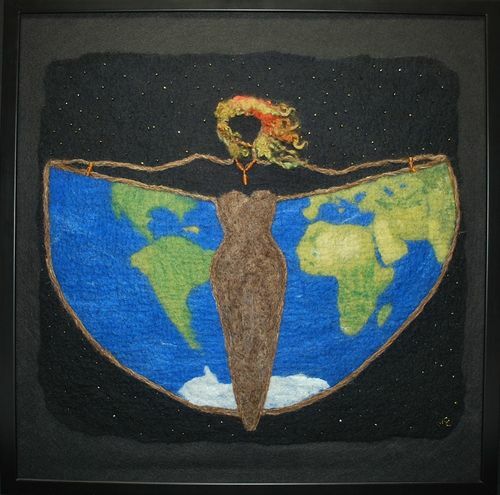 "GAIA - Earth Goddess" - Hand felted and needle felted Merino and Corriedale wools, with silk accents in Antarctica. 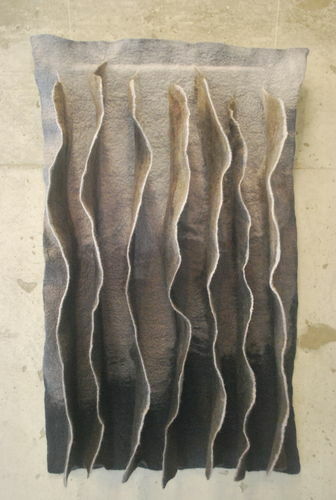 The continents were prefelted, cut out to shape and then felted onto the background blue wool base. All the stars in the background are hand beaded (the photo doesn't show how many there are). 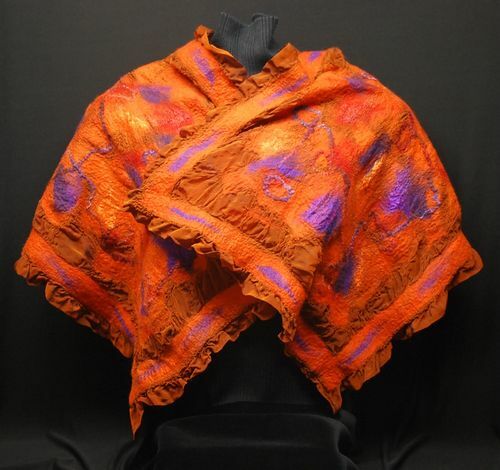 Her hair is hand dyed mohair goat locks which were needle felted in place. I created this piece to celebrate Earth Day, 2005. My Earth goddess is the third in a series of Goddesses.